Come visit Falls River Town Center. Located at the entrance to the Falls River and Bedford communities on Durant Road in Raleigh, North Carolina, Falls River Town Center offers families a dynamic shopping and dining experience with classic southern hospitality. Shopping can help improve a person’s mood and it can also be good for your physical health. A recent article revealed that walking and carrying shopping bags can burn 385 calories in a week. 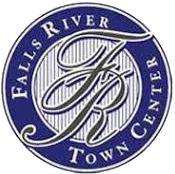 Whether looking for clothing, jewelry, household goods, and more, Falls River Town Center has it all. Dining out isn’t just a luxury, it provides a variety of benefits for the entire family. Whether it’s aquick dinner after work or a four-course meal, dining out improves the quality of your entire week. Reward yourself and discover all the dining options that Falls River Town Center has to offer. In our hectic lives, it's easy to focus too heavily on work and family commitments. Play, while essential for kids, can also be an important source of stimulation and relaxation for adults. Whether staying in shape, molding pottery, or gaming with friends, you'll find it all right here at Falls River Town Center! It feels great to conquer the day, but in the end it just simply feels better, and is more beneficial to your health, to relax. Taking breaks to relax, de-stress and clear your head, will help you work better and feel better. Find your perfect zen at Falls River Town Center today! Check out just some of the best brands in the business at the Falls River Town Center. Designed and managed by XceedIT, Inc.